Few people would deny that color is one of the most elusive and poetic elements in art. It is this elusiveness that makes Painting both such a challenge and reward. Throughout this course students will be moved in and out of a variety of techniques and histories of Painting, all in the name of a better understanding of that elusiveness. We will do this by covering materials and techniques, spatial and color relationships, various compositional strategies, as well as a thorough emphasis on expression. 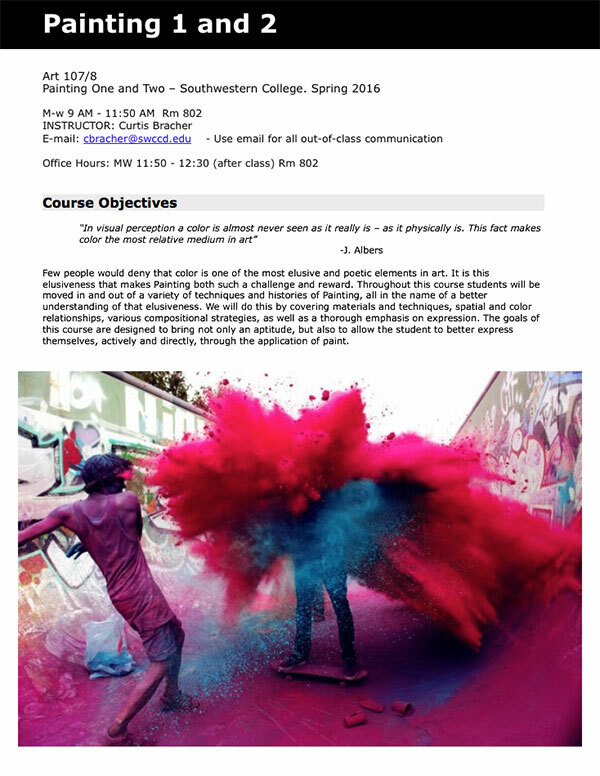 The goals of this course are designed to bring not only an aptitude, but also to allow the student to better express themselves, actively and directly, through the application of color.